Think about the traditional advertising model. 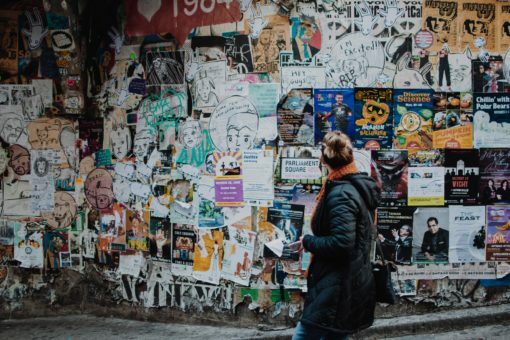 Whether it’s a print ad in a magazine or a commercial dropped in a prime-time television slot, advertisements are targeted towards a specific audience based on their interests and how it relates to a specific product or service. And that definitely makes sense. However, the traditional advertising model is dated and maybe not as powerful as it used to be. It’s expensive for businesses like you and for consumers they’re nothing more than an invasive nuisance. People face more advertisements across more mediums than ever before. Luckily, we’ve put together this handy guide and checklist to help you better understand Content Marketing and how to implement it in your business! An overview and general explanation. So What Makes Content Marketing so Cost-Effective and Powerful? Without conventional advertising, where does that leave your business? How can you organically reach potential customers and make your business known without the overt transactional advertising tactics that also tend to push people farther away? Ladies and gentlemen, please give a warm welcome to content marketing! Content marketing essentially creates a means to authentically communicate with your target audience. 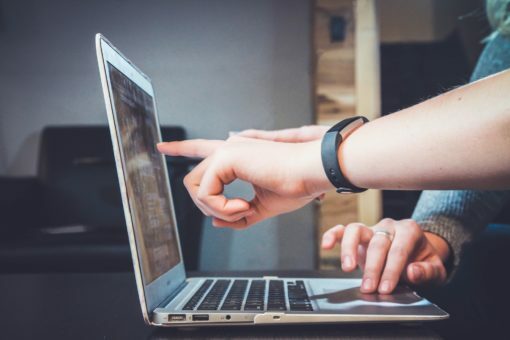 Through blog posts, e-books, podcasts, videos, and other downloadable resources, effective content marketing is the art of educating and forging a real connection with anyone who visits your site. It’s giving potential customers something they deem valuable, and in return your brand, products, and services grow in value as well. So when you really think about it, content is king because content is everywhere. Bottom line: Content marketing builds authority, is incredibly cost-effective, and offers amazing ROI. Compared to traditional marketing programs, content marketing costs 62% less and generates approximately three times the volume of leads (via Demand Metric). You may already have a digital marketing plan in place. From newsletters to social media posts, establishing regular communication points that grow your audience is a great place to start. The great news is that solid content marketing works in conjunction with any practices you already have in place. And a really awesome content marketing strategy will elevate your other platforms. New blog post? Share it across your social media channels to cast a wider net. New company update video from the CEO? Consider converting your monthly e-newsletter into a newsletter vlog. The point is that the reach of your business will grow significantly as you learn to leverage your content marketing effectively to build authentic relationships with any potential customers. Your content marketing should drive user engagement towards specific goals for your business’ growth. Identifying key performance indicators for your content while utilizing the right analytics tools to accurately measure and understand their effectiveness guarantees your efforts are affecting positive change for your business. No matter the type of content you’re producing, it should always be organized. Create a regular, cohesive schedule. Not only will this establish publishing consistency (which builds audience trust and improves your SEO), it also ensures that content does not become repetitive and remains cohesive with your overarching communication goals. Every piece of content should serve a purpose. If there’s no consumer value to it, then it’s not worth publishing. Use keyword research to find gaps in your market and industry. Look for problems that need solutions. When your audience values your content, they value your brand. All of your content should essentially be parts of the same whole. Your cornerstone pieces are the back- bone of everything else that you produce. Content will range in value – a 30 minute podcast is weighted differently than a “how-to” infographic, but that doesn’t mean they both aren’t related or valuable in their own right. Your content strategy should be a cohesive, ever-growing network of diverse, tiered content pieces. In order to ensure your content is taking the right steps in the right directions, you need to establish your specific key performance indicators (KPI’s) and goals, both long term and short term. If you’re not pursuing goals with your content and measuring the progress towards those goals, then your marketing efforts don’t truly serve a valid purpose. But where should you start? When determining your KPI’s, you’ll want to do a deep dive on your company’s mission. What indicates success for your business? Is it simply generating more sales of a specific product? What about creating new leads for offered services? Setting the right goals will help you measure the growth and success (or lack thereof) of your content marketing efforts over time. With your KPI’s in mind, set goals for every piece of content you make. Goals can vary in size and scope, but should all lead towards the big picture of your brand’s growth. For instance, one goal might be to rank on the first page of Google for a specific search term related to your industry. Once reached, it can directly affect larger goals like increased sales and visitor engagement. Look, we’ve all made New Year’s Resolutions that were quickly dropped by January 3rd, right? But if you want your content marketing to succeed, commitment is key. That means creating a system of accountability and accepting the responsibility that comes with it. Consistency in publishing content helps build trust in your audience (new and returning customers), while also improving your SEO. And more than anything it helps to give you a bird’s eye view of every bit of your content, published and scheduled. 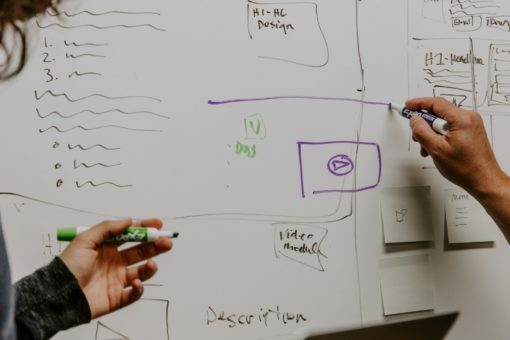 From brainstorming and ideation, to fully mapping out and assigning content, establishing your content marketing work- flow creates a steady stream of organization. Consistency in your keyword research and link-building strategy ensures all of your content serves a greater purpose in building a cohesive network of published content. No not that kind of flow. It might not be surprising that when we talk about mapping out specific content publishing by date, we mean physically planning everything out. Creating a calendar to plan your publishing days is essential in keeping up with that established workflow. You might find the old-school, physical calendar to be helpful, but there are plenty of online templates and programs to help get you started and share it across platforms with your whole team. Even a simple spreadsheet can do the trick. Your content should always hold some kind of value to your viewer. Whether it’s providing vital information or simply entertaining in a way that helps build your brand awareness, content needs a reason to exist. Otherwise your efforts are fruitless. So when we think about content, we think about it in terms of existing with a clear purpose. Often that purpose is to provide a solution. So, how do you know if your content is providing the right solutions? Your content should be directed towards a specific architecture of your ideal customer. What are their dreams, pain points, challenges, and goals? Identifying and literally listing and mapping out your client avatar helps you to tailor your messaging to hone in on that emotional connection. Utilize surveys, existing data from your industry or competitors, or conduct interviews with your current clients to identify the composite sketch of your ideal customer/client. Your business exists because it solves a problem or fills a gap within your industry. Your customers will find you because they’re looking for you to solve that problem. Therefore, any content you produce should also inherently solve some problem, large or small. By solving problems on a content marketing scale, you demonstrate your value to potential new customers and start to build that trust. Now we get into the real meat and potatoes of your content. Essentially, all of your content is storytelling at some level. Your storytelling should spark that connection of empathy and sympathy to build brand loyalty and keep your visitors wanting to read more and more. But how can that be achieved? Producing great content is obviously a big part of the solution, but how you present and deliver your content is the major key that many businesses miss. Not all content is created equal. Some of your content might be more surface-level information and problem-solving. But they help provide that initial spark and interest in your brand. From there you can create more loyalty in potential customers by asking for more of a commitment in exchange for better content. Eventually that exchange can lead to new business for you. For our clients and ourselves, we take a strategically tiered approach to our content creation. Tier one content pieces are the shorter form assets (like shorter blogs, infographics, and even memes) that are easily and quickly digested and used to grab initial attention. These tier one assets then link back to your longer form, tier two content assets: also known as cornerstone pieces. In your strategy, you should be creating an ever-growing, inter-linking web of content. Cornerstone content pieces are the core articles and pages of your website targeting your most competitive keywords. Your internal linking structure shows the search engines that your cornerstones are the most complete, most important articles on your site, which increases their chances to rank significantly. Ideally, the cornerstone content you create should be evergreen. The information should be relevant whether you read it tomorrow or 5 years from now. This means you need to keep up on maintenance for cornerstone content and regularly update as needed. Google regularly scans your pages for when it’s last been updated- and uses that information to factor into your page’s ranking. Remember: Google’s #1 job is to provide searchers the most relevant and up to date information. It’s lower effort and frequent. Tier One Content helps your company to make that initial connection with your target audience. It’s that first hook that gets someone through the door. First impressions are important in any relationship, and for content marketing they can be the difference between a new customer and scrolling past you to your competition. Hitting the “Core 4” social media platforms (Facebook, Twitter, Instagram, LinkedIn), is a good place to start. Comment on industry trends, share links to other pieces of your content, and engage with your audience directly. Email is another way to directly communicate with your audience. Offer exclusive promotions, link roundups, or completely original content in a neatly packaged newsletter. Set up your RSS feed in your preferred platform to automatically push and drive traffic to your latest posts. Think of these posts as your quick-hitters. They might be lists, introductory pieces, or very basic, surface-level in- formational articles that grab reader’s attention. The ideal length to rank these pieces is around 900-1,500 words. It might be a short explanatory podcast or a portion of a video that serves as a preview to a greater whole. No matter what route you go, utilizing short audio and video pieces can be great introductory content to grab attention, build awareness and drive traffic to your cornerstones. Attention-grabbing and easily embeddable, infographics are a visual representation of a large amount of information condensed into a combination of images and text, allowing viewers to quickly grasp the essential insights the data contains. Captivating images and hilarious memes make up a bulk of today’s social media currency. Take advantage of their accessibility, opportunity to go viral, and the fact that they’re ridiculously easy and quick to share. Tier Two Content is higher effort and strategic. Once you have your ideal user with a foot in the door, it’s time to pull them in with more in-depth content. But that content should come at a price. Think of it as a gateway to cross through before they can access these higher quality assets. Usually, creating a form to collect contact info like an email address suffices. The exchange generates a new prospect for your business while the customer receives quality content and information. Go more in depth on topics you’ve previously covered at a surface level. Utilize detailed research, well-sourced facts, and provide important information for problems within your industry. This is most often your cornerstone content and best ranks at 2,000-4,000 words. Video content has quickly risen as a dominant means of user engagement. Long-form video can entertain, inform, and create yet another avenue for positive user engagement. Plus it can show how modern and forward-thinking your business is. eBooks are great ways to go into more depth than most blog posts can. Plus it’s in a medium that’s visually pleasing, easy to print and use in other contexts, and can be a main resource your business provides to clients. What better way to engage customers than through direct interaction? Teach your audience about a subject you’re an authority on while also giving them a glimpse behind the curtain at some of the faces of your brand. Whitepapers are advanced problem-solving guides. Show your authority within your industry by presenting a problem your customer might be facing and provide an in-depth and highly technical solution. Depending on your technical skill-level, this is one aspect of content marketing you may need to outsource to create and build. If a customer finds success using your app or calculator, they’re more likely to trust your brand’s products and services in the future. For example, check out our Advertising ROI Calculator! Utilize keyword research tools to verify optimal keywords for your topic: Google Keyword Planner, Ubersuggest, Answer the Public, etc. Choose your targeted keyword(s) based on search data: ranking opportunity and difficulty. Have one primary, long-tailed keyword for each post. Utilize as many related key phrases as possible. Ensure your blog is both compelling and data- driven. Include stats, facts, quotes, and more from trusted sources. Primary keyword should appear in: blog title, permalink, SEO meta title, meta description, image alt tags and file names, first paragraph, headings and sub-headings (where applicable). Ensure you’re not “keyword-stuffing”- they should be included naturally and conversationally. Ensure you have a riveting, attention-grabbing main headline. Write an enticing introduction: state the problem your readers are dealing with, create a narrative outlining the article, point out the risks of inaction, reveal the benefits of continuing reading, ensure you include primary keyword. Use imagery and infographics to support and grab attention. Ensure paragraphs are broken up to avoid “boring walls of text” – usually 3-4 sentences. Sum up the overall message of the blog concisely build up your authority with social proof. List additional sources to add value. Go back through and create anchor links to other relevant blogs and pages on your website- one link every 1-2 paragraphs. End by giving them next steps to take. Incorporate “fear of loss statements” to drive action. Ask for feedback and comments. Encourage readers to share on social. Present an opt-in offer for featured cornerstone after post. Any pages in your top 25-50 positions in Google Analytics. Analyze historical bounce and exit rates to see which pages/blogs could use revamping. Update titles where applicable (NEVER the URLs). Increase internal links with new posts and diversity. Review what cornerstone piece the content is assigned/ linked to. If removing content, make sure not to remove too much. Ensure blog comments are moderated and responded to. Ensure all facts and stats are current and accurate. Look for other media creation opportunities like infographics and videos to add and embed in posts. Look at heading and general structure- any errors or inconsistencies should be corrected. Ensure any CTAs are updated to your latest focus. Bigger problem than a single blog could solve. Ensure all topics included applicable with all avatar’s pain points. Don’t create a whole solution, but give enough information to be valuable and educational. eBook or white paper App, quiz, or calculator. Video or video training series. Exclusive subscriber only email training series. Daily, weekly, monthly, etc. podcasts. Once your content is planned, polished, and ready for the masses, you’ll need to think about your delivery methods. Granted, many forms of lower-tiered content marketing also doubles as potent delivery methods for other content. Think about how social media posts, email newsletters, even blogs that link to other blogs and offer opt-ins to your higher-tiered content. But ensuring your package is primed for delivery requires a strategy all of its own. From organically growing your social media followers and email lists to specifically targeting your audience and calculating the best time of day to reach them. Getting your content marketing strategy off the ground can be one of the most difficult parts of the process. But the potential rewards down the road for your efforts cannot be matched. Effective content marketing will help you make authentic connections with your audience that directly leads to long-term brand loyalty from customers and growth for your business. The most important things to remember about successful content marketing is be valuable, be relevant, and be consistent. Every piece of content must have a clearly definable goal and tracked results to really know your ROI. Content creation is most effective if you first start with well-defined explanation of who your content can help the most and the benefits it will provide. Establish an interconnecting web of links throughout your website between blogs, cornerstone pieces and landing pages. Know your industry! Monitor what your competitors are doing well… and poorly for valuable cues. Look at your content as a living document. It will evolve over time and should be an evergreen experience for your customers. Content Questions? We’ve Got Answers! In utilizing this guide, you’ll definitely see success and steady growth for your company– but that can take time and a lot of effort. If you want to catapult your results and see vast improvement in your desired growth efforts, you need to work with a company that understands why these content marketing processes work and how to implement them. At Multiverse Media Group, we practice powerful content marketing processes that help businesses grow every single day. Our experience, approach, and methodology lead to consistent growth results for each and every one of our clients; spanning from conception to creation to distribution to revitalization, we’ve got your back! If you’re ready to kickstart your content marketing efforts and see your business reach new heights, don’t wait, reach out to us today!